Hawaiʻi Island police are renewing their request for the public’s help in locating 47-year-old James Gannon Coffey of Mountain View, who is wanted in connection with a reported shooting last summer. A 39-year-old Mountain View woman reported that at about 3:30 p.m. on July 3, she and Coffey got into a verbal confrontation while she was at his home on Overview Road in Mountain View to retrieve her property. As she was leaving, she reportedly heard what sounded like a gunshot. As she turned toward the suspect, he allegedly pointed what appeared to be a firearm at her and discharged another round. The woman was not injured. Police classified the incident as a second-degree attempted murder. 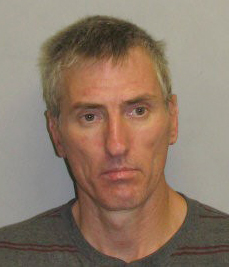 Coffey is described as Caucasian, 5-foot-10, about 150 pounds with hazel eyes and short graying hair. He may be operating a brown late model Toyota pickup truck. He is also wanted on an outstanding arrest warrant for violating probation. Police advise the public that Coffey may be armed and dangerous and that they should not approach him but, instead, should call police if they know where he is. Police ask that anyone with information on Coffey’s whereabouts call Detective Joel Field at 961-2381 or email him at jfield@co.hawaii.hi.us.